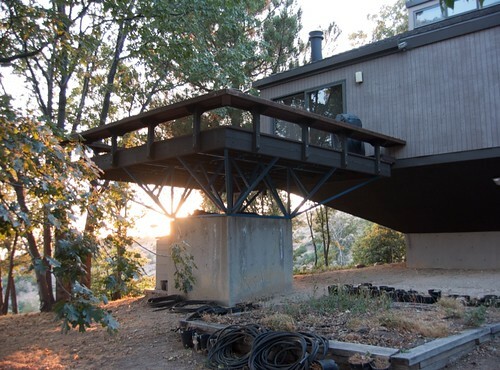 We loved the idea of the metal structure and wanted to use that here – to have a strong base that adds an original design element, while using a minimal amount of concrete. 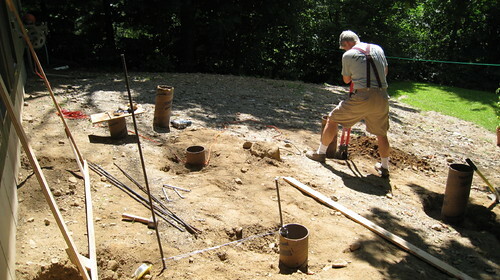 Concrete pillars were poured last year, and lay dormant over the winter. 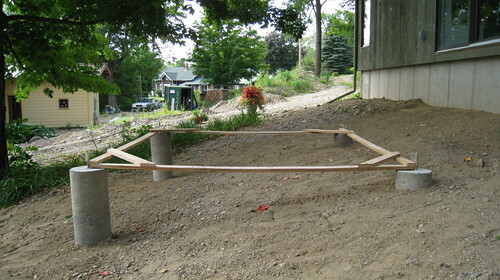 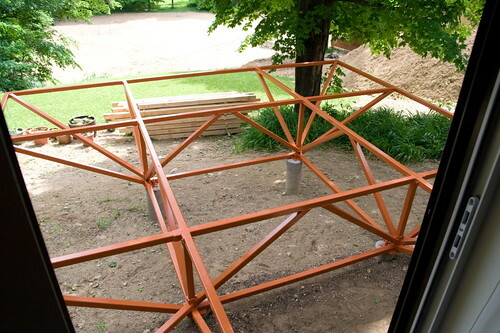 This summer, with the design planned out, we purchased 2″ tubular steel for the frame. 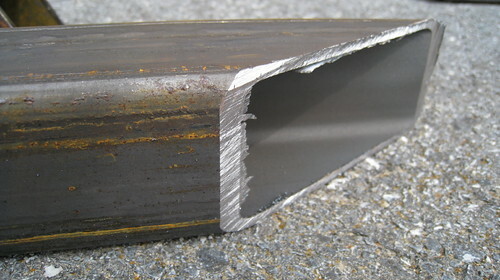 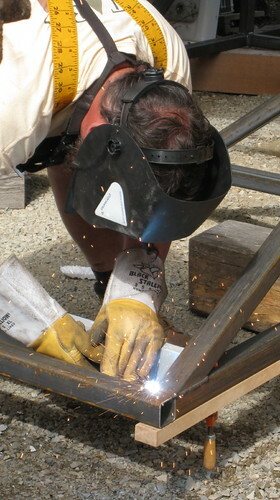 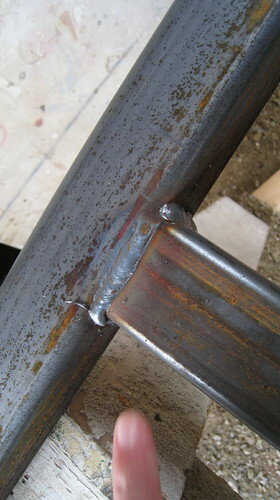 We cut the pieces and had a friend weld them together to form the supports for the deck. 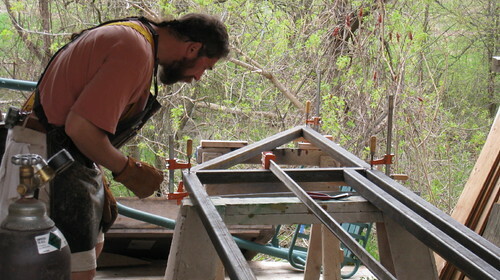 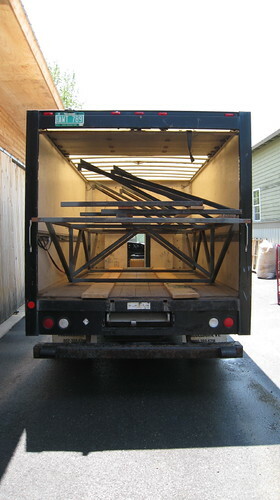 The completed frame was built in sections carefully measured to fit in the truck for transport to our house. 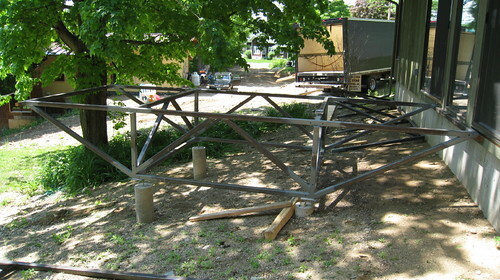 Back at the house, we unloaded the (very heavy) frame, bolted it to the pillars and welded on the outer sections. 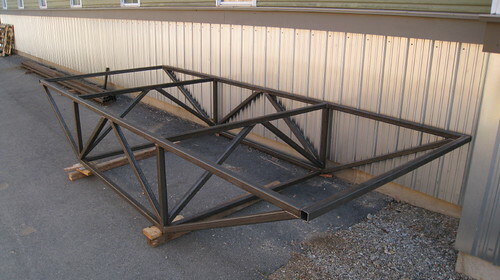 The next step was cleaning up the metal and grinding off the rust, in preparation for priming and painting. 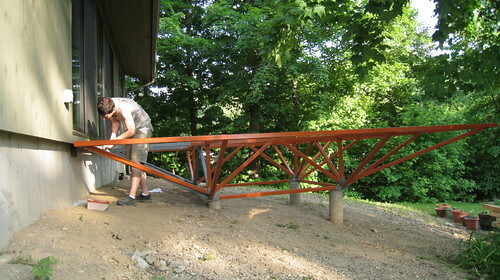 We chose to apply the protective oil-based orange paint by hand, rather than sprayer, to minimize wasted paint. 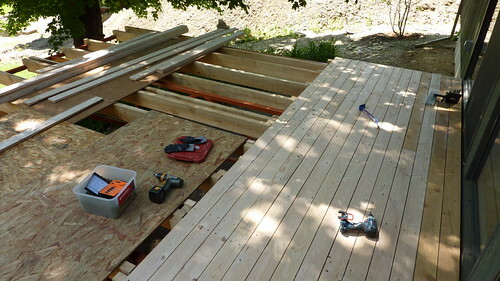 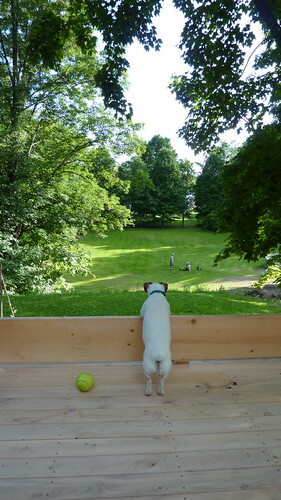 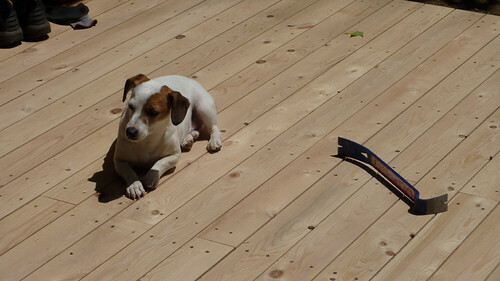 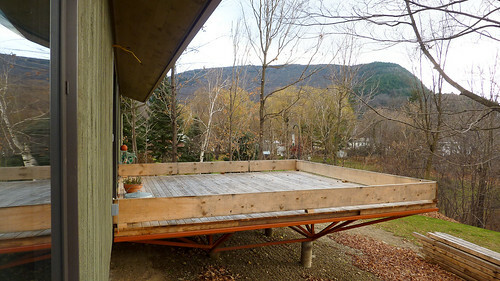 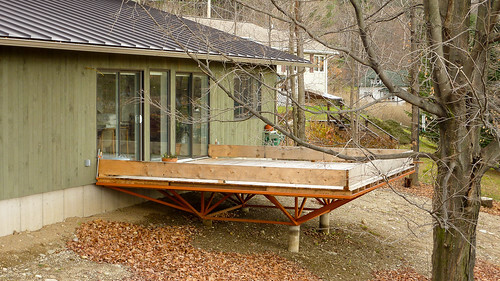 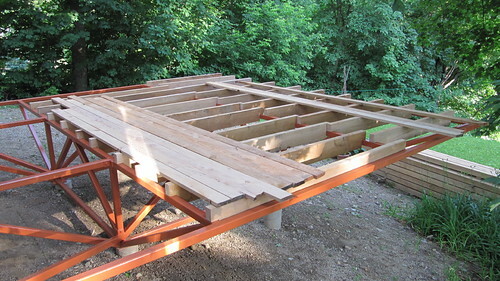 The deck trusses and surface are made of untreated hemlock, which should be very weather- and insect- resistant. 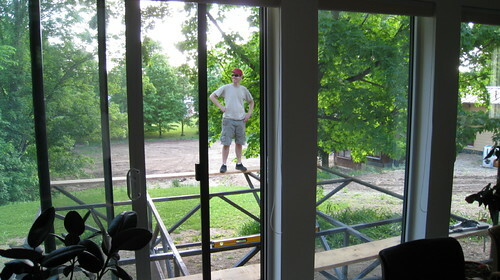 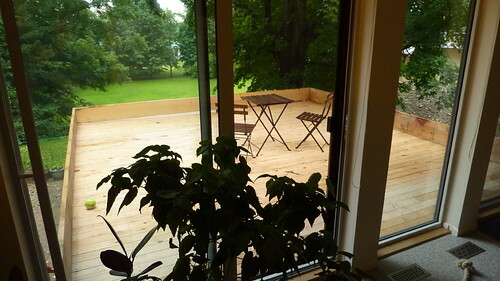 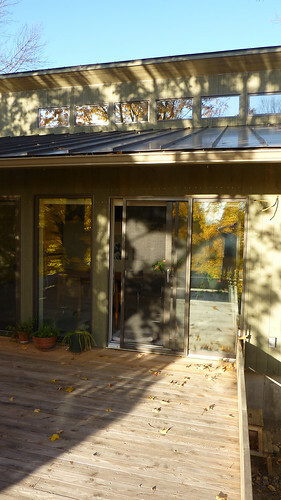 With the deck surface completed, we can now walk right out the sliding doors from the living room and enjoy the outdoors. 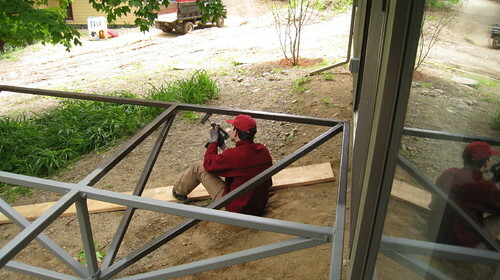 Next year we plan to add a modern railing of the same tubular steel as the base, plus geometric wire mesh for safety, and built-in seating for a comfy place to relax.